Monash University was invited by the Malaysian government to open a campus in 1998. Through a long-standing partnership with the Sunway Group, the first foreign university campus in Malaysia was created at Bandar Sunway in Petaling Jaya. Classes commenced in July 1998. The current campus was purpose-built in 2007 at a cost of RM200m. At present there are some 4,400 students and 400 staff, with growth projected to lead to over 6,000 students and 600 staff. About a quarter of the student body is international. The campus continues to develop steadily, and now enjoys excellent facilities for world-class education and research. All academic staff members are expected to engage in scholarly research. As a full campus of Monash University, we provide a distinctive international experience, with teaching and research of the highest order. We engage with Malaysian and regional societies to improve the human condition. The Sunway campus is a dynamic community of scholars comprising staff and students, supported by collegial processes and comprehensive first-class infrastructure, and aspiring to intellectual achievement of the highest order. WHY MONASH UNIVERSITY FOR POSTGRADUATE STUDIES? 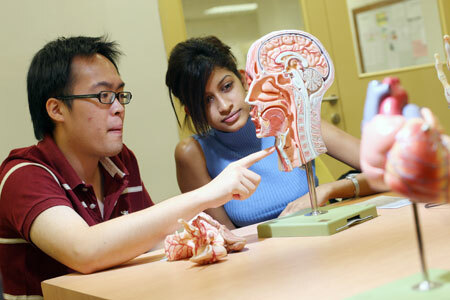 Monash University is world-renowned for its innovation and excellence in research and teaching. Monash researchers make important contributions that bring real and positive change to people all over the world. The Sunway campus has research strength in biotechnology, medicine and health, economic and business modelling, Islamic banking, electronic test technology, and agri-business. The Brain Research Institute at Monash Sunway (BRIMS) is an Associate School of Neuroscience of the French-based International Brain Research Organisation (IBRO). This status aids in its efforts to be the regional driver of neuroscience research and education development. Monash Universityâ€™s School of Business is leading research in Islamic Banking and Finance, and is the organiser of a major annual conference on Islamic Banking and Finance in Kuala Lumpur. The School of Engineering has formed a number of partnerships with industry and other organisations for research. These range from FreeScale Semiconductor to Malaysiaâ€™s National Sports Institute, with whom research is being carried out on how to improve the performance of athletes. Researchers at the School of Science are also working on a number of major research projects, ranging from understanding how gum infections can lead to heart disease, to deepening our understanding of the bodyâ€™s immune system. 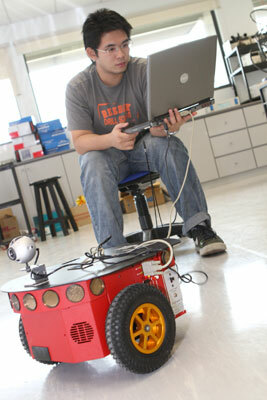 Various external funds are available to Monash researchers in Malaysia. They include the governmentâ€™s Intensified Research in Priority Areas (IRPA) grants, the Ministry of Science, Technology and Innovationâ€™s e-Science fund for research, the non-governmental International Service for the Acquisition of Agri-biotech Application (ISAAA) funding as well as research grants from Petronas and the TORAY Foundation. Collaboration in research is strongly encouraged between Sunway campusâ€™ staff with other local institutions of higher learning and companies in Malaysia. Monash University Sunway campus offers scholarships to our postgraduate students undertaking research-based postgraduate degrees on merit basis. There are 2 types of scholarships offered by the campus. One is known as the full scholarship and the other is tuition fee waiver only. Note: The scholarship amount includes tuition fee (RM 30,000.00 per year) and cost of living expenses (RM 1,500.00 per month for masterâ€™s and RM 2,000.00 per month for PhD). Tuition fee waiver scholarships provide students with tuition fee waiver on their courses excluding cost of living expenses. Library and Learning Commons â€“ A growing collection of over 60,000 items consisting of books, music and sound recordings, serials, together with 155 multimedia workstations including 28 in the training room and 11 express terminals. Apart from that it also has 4 group study rooms and a postgraduate study area with 12 workstations. Monash University has one of the worldâ€™s largest collections of electronic resources. With 800 online databases, students and full-time staff have access to over 300,000 e-books along with 75,000 e-journal titles that covers the full range of disciplines taught and researched at the university. At Monash, students have access to an array of facilities including labs for teaching and research sophisticated labs for research, a radio and TV studio, multimedia lab, journalism lab, two auditoriums capable of accommodating 350 people each, a 150-capacity plenary theatre, 3 medium-sized lecture theatres for 150 students and 6 smaller theatres for 120 students each and 22 tutorial rooms. In addition to the PCs in the Leaning commons, there are 10 computer labs for general use. Students also have access to wireless internet connectivity on campus. Monash University Sunway campus is one of 8 Monash campuses. There are six campuses in Australia and one in South Africa. The university also has a learning centre in Prato, Italy. International students who wish to study at the Sunway campus must possess a valid student pass, or they will not be allowed to study in Malaysia. Please visit www.monash.edu.my/studying/admission.htm for more information. Before leaving their home country, our online pre-departure briefing is available to help prepare students for their arrival in Malaysia. Students will be informed on what to expect, airport reception service and what to bring to Malaysia. For more information please visit www.monash.edu.my/studying/pre-departure.htm. For other information, visit www.monash.edu.my/international. A degree with honours I (first-class honours) or IIA (upper secondclass honours) in the relevant research area. To meet the universityâ€™s English language requirements. A degree (average 60%) from a recognised tertiary institution. To meet the universityâ€™s English language requirements. A degree with honours I (first-class honours) or IIA (upper secondclass honours) in the relevant research area. The completion of the MSc Preliminary examination equivalent to I or IIA would be considered on a case-by-case basis. To meet the universityâ€™s English language requirements. A degree of bachelorâ€™s with honours I (first-class honours), IIA (upper second-class honours); or have qualifications which in the opinion of the Monash Research Graduate School (MRGS) are equivalent or a satisfactory substitute. To meet the universityâ€™s English language requirements. A masterâ€™s degree that entailed work, normally including a significant research component, at least equivalent to an honours degree. To meet the universityâ€™s English language requirements. Prospective research candidates are expected to have identified a certain research area of interest prior to applying for candidature. Prospective candidates are required to discuss the proposed research project as well as availability of supervision and facility to conduct research with the School in which they are seeking candidature. For more information please visit http://www.monash.edu.my/Student-services/SA/Admissions/admission_application_next.htm. 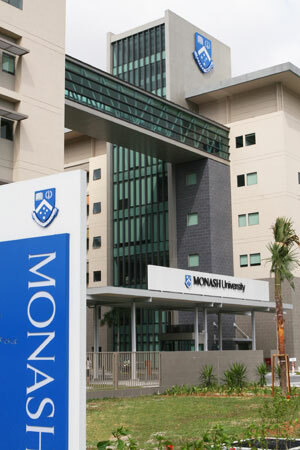 Monash is the first foreign university to open its campus in Malaysia upon the invitation by the Malaysian government. â€“ The School of Medicine and Health Sciences is the only one in Malaysia to be accredited by the Australian Medical Council. â€“ In 2007, Monash was named Business of the Year by the Malaysian Australian Business Council. Monash University is a research intensive university and is committed to finding solutions for 21st century challenges such as climate change, water shortage and cancer. The University undertakes innovative, multidisciplinary research addressing national and international priorities. With campuses in three continents Monash pursues knowledge and solutions from a global perspective. Among the research achievements and accolades received are by being the pioneer in In Vitro Fertilisation (IVF) technology; helping to reduce the road toll through ground-breaking accident research through the Monash University Accident Research Centre (MUARC); as well as investigating ways to help the adult body repair and regenerate damaged tissues and organs by doing research on regenerative medicine. 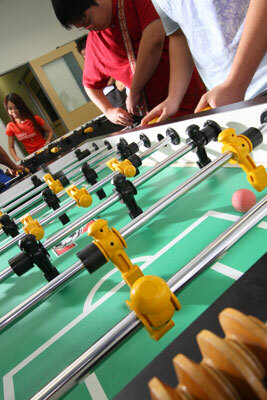 The Sunway campus is home to BRIMS which is the acronym for the Brain Research Institute at Monash Sunway. It is led by one of the worldâ€™s leading comparative neuroscientists Professor Ishwar Parhar. The areas of research conducted by BRIMS include Neurogenomics of Sleep Disorders, Molecular Mechanism of Depression, and Reproductive and Metabolic Neuroendocrinology. For detailed listing of the courses available, click here.